Minimum and recommended requirement - is your machine ready? 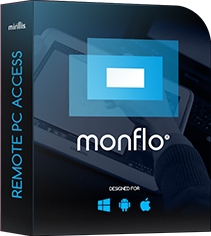 Before the installation of Monflo we recommend to check the hardware and software specification of your desktop computer or notebook if it meets the minimum requirements. Please note that Monflo supports only Windows Vista, 7, 8, 8.1 and 10. It does not support Apple operating systems! Recommended WiFi 5Ghz or LTE for the ultimate experience with Remote Action!